Futaba Sakura is the Hermit Confidant in Persona 5. Her abilities allow your party to get through the toughest situations through various survival options. We will update this as we go along. 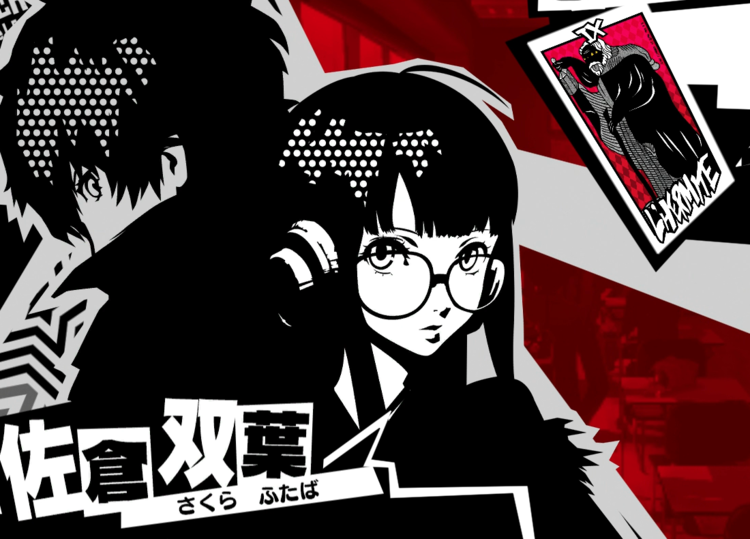 Futaba Sakura is the Hermit Confidant in Persona 5. Her abilities allow your party to get through the toughest situations through various survival options. Sakura Futaba is a brilliant hacker who struggles with deep social anxiety. Because of her fear of the outside world, she sought interaction through the internet. She is distraught to realize that people are just as full of hate and anger online as they are in the real world. She eventually learns to trust people upon meeting the Protagonist and the Phantom Thieves. Sakura’s Confidant relationship automatically becomes available upon gaining access to Akihabara on August 31 at night. The Hermit confidant grants you a variety of options for survivability once you’ve mastered it. Most of the abilities of this confidant focus on helping your party when you get in a pinch, the most powerful being Super Awakening at Rank 10 which allows you to survive fatal situations. Emergency Shift 9 Reserve party members will substitute two or more downed active party members. Final Guard 10 Negate an attack that will kill any party member. Super Awakening 10 Forces the character’s Persona to evolve into its final form. Locked until the Daughter’s Just a Meal Ticket mission is completed. On 7 without hermit persona only gave +1, we’ll show them then truth still gave +2 though. Redid it with ‘we have to put a stop to this’ and it still only gave +1 but “I’ll do it, for you” gives +3!